1,2,3 Count with Me is a 165 page download, set to emerge preschoolers (or intervention kindergartners) in numbers 1-10. They will learn how to identify numbers, number formation, making and counting sets of numbers, and more! This unit will engage and promote mastery of a foundational pre-k skill, while also addressing other skills and lessons. Please note that you do not have to purchase or use the other units from this curriculum in order to implement this. Each unit is a stand alone unit. However, they have been planned in a sequential order that is appropriate for 3 and 4 year olds. 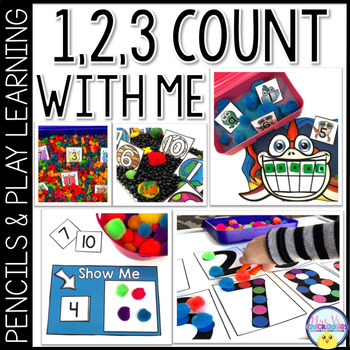 1,2,3 Count With Me is a part of the Pencils & Play Learning Curriculum. This Pencils & Play Learning Curriculum was designed by Michelle Vasilescu, a teacher turned homeschool mom. With insight and knowledge about both worlds, this was thought out and planned in a way that it could be beneficial to classroom and homeschool teachers. 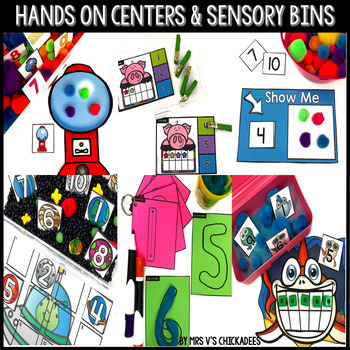 The name Pencils & Play Learning represents the combination of both hands-on activities and centers (learning through PLAY), and worksheets (PENCIL and paper work). This is primarily a hands-on curriculum, with majority of the program consisting of the children physically touching, moving, and doing things. Hands-on learning is imperative for a number of reasons. It helps children retain more information. They activate their senses and become engaged quicker. Children develop critical thinking skills when working on a hands-on activity. They are also better able to make connections between the activity and real-world experiences. That being said, each day of instruction does have a connected worksheet and homework worksheet. If you do not assign homework, you can certainly use these sheets in other ways. 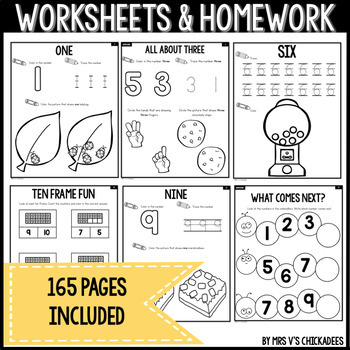 Plus, you get additional supplemental worksheets for your students. There are 19 days of lesson plans in this download. Whole Group Introduction: Each day you will start with an introduction. Introductions are intended to get children ready to launch into the lesson and independent activity. They will be engaging and quick. Differentiation: Ways to differentiate for advanced and struggling students when applicable. If you are using this curriculum with your own child, simply follow it as is, ignoring the terms "whole group" and "small group"
If you are using this curriculum in a classroom setting it has been laid out for you so that you do not have to do anything different. 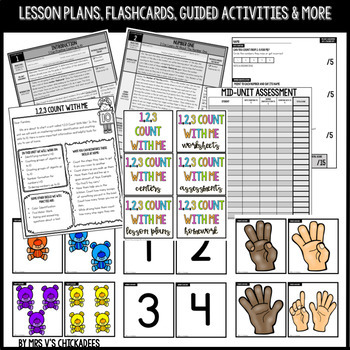 The lesson plans are scripted and will walk you through each day with your students.